The reanimation of the once-dead MG continues onward, not so much longing for brains but to provide drivers with exceptional value for money. To wit, the new MG3. Available from from just £9,495 OTR, the new model achieves its aim offering the car with a seven-year/80,000-miles warranty. This attention to price has helped MG become the UK’s fastest growing car manufacturer, even though the vehicles are no longer manufactured in the UK. The design of the car has undergone an extensive update inside and out designed to draw people away from the Dacia Sandero, with one of the key design features of the new MG3 being the eye-catching ‘star-rider’ grille which perfectly frames the brand’s logo. On the inside, the design team has worked wonders to create a practical, spacious and stylish interior resulting in one of the roomiest cabins in the supermini segment, with class-leading head and leg room for five adults to ride in comfort. The boot space is also impressive for a car in this category, with designers managing to optimise the space so that it holds 285 litres capacity. There are three different versions offered in the new MG3 line-up; the entry grade ‘Explore’ (£9,495), mid-grade ‘Excite’ (£11,395) and the ‘Exclusive’ at the pinnacle of the range (£12,795). The whole new MG3 range comes packed with a host of technology including Bluetooth as standard, while ‘Excite’ and ‘Exclusive’ versions boast an 8in colour touchscreen with Apple CarPlay, DAB radio and steering wheel audio controls. The ‘Exclusive’ version adds a reversing camera with dynamic guidelines, completing an exceptional value-for-money package. “The MG brand is going through a really exciting period at the moment. There are ambitious growth plans in place to ensure we continue to smash our targets and achieve sustainable growth over the coming years.” commented Daniel Gregorious, head of sales and marketing, at MG Motor UK. 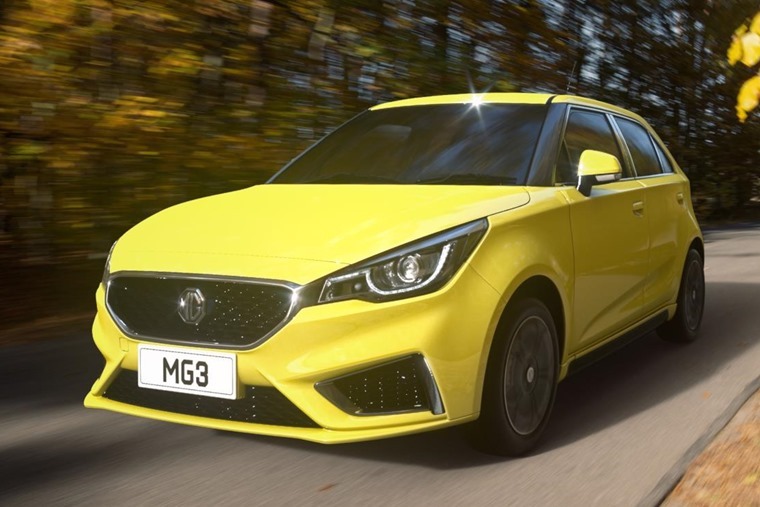 The MG3 will be available from September.